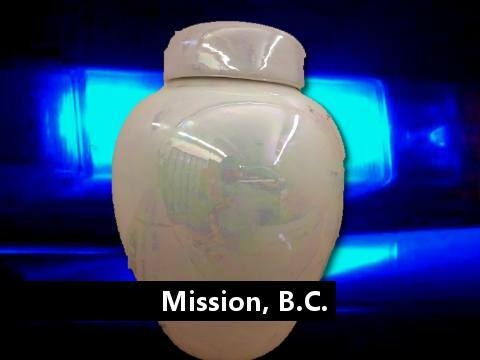 Mission BC: The Mission RCMP have recovered an urn containing what is believe to be ashes. The urn was turned over to police after being recovered near the Safeway at the Mission Hills Mall. The urn is described as white with pearl accents, small and has a lid. Anyone with information pertaining to this urn are asked to contact the Mission RCMP non-emergency line 604-826-7161 or Crime Stoppers 1-888-222-8477 to remain anonymous.